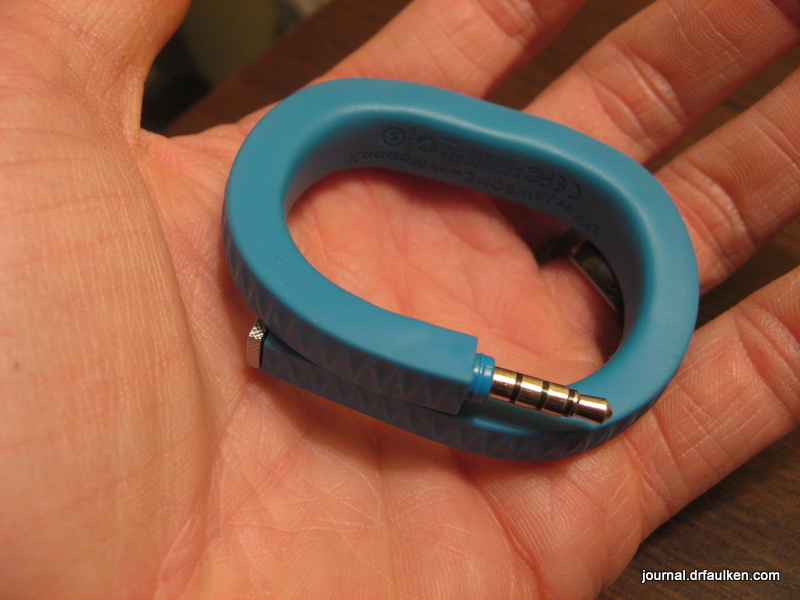 Less than three weeks after I wrote about our Jawbone UP biometric bands, Sedagive?’s UP gave up the ghost. Her UP wrist band wouldn’t sync today. The band would stop at 2%, and then eventually stopped being recognized altogether. This is where things took a turn for the worse. Instead of stopping at 2% or immediately failing to sync, the Jawbone was no longer recognized by the UP Android app at all. We then plugged Sedagive?’s band into my phone to rule out a busted headphone jack. No response from the UP band. We plugged my band into Sedagive?’s phone. It attempted to sync and stated that the band was locked to someone else’s account. That was a good sign; her phone was not at fault. I checked the return window on Amazon. I trust them way more than Jawbone’s customer service. I read a lot of bad feedback on the Jawbone UP forums about the lack of customer service, especially slow responses. The window to return her UP expired two and a half months ago. Reluctantly I filled a customer service contact form. Sedagive? got an email confirmation shortly after I described our problem — it may take two or more days to get a response. In the meantime we have a dead UP. Stay tuned.